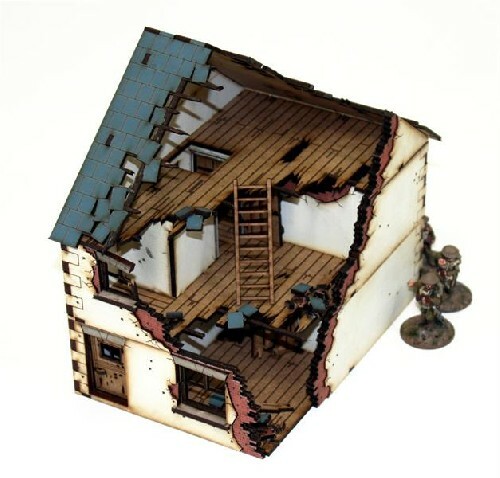 The Damaged Detached House Type1 has the same great detail as all our World War II houses but with the incredible battle damaged detail these ruins create a fantastic looking battlefield. There is nothing stopping you mixing and matching this with other 4Ground WWII buildings. For extra realism you can use them to replace your Detached House Type 1 after it has been bombed or hit by artillery, or you can use the different levels to make different damaged buildings.